Read about - Theresa Creek Dam Campground below. Fellow travellers recommended that we visit Therese Creek Dam Campground - 22 kilometres from Clermont in Queensland. At just $10 dollars per night for an unpowered site it was extremely good value for money. The toilet block is adequate with flush toilets and hot showers. You pay for your site at the kiosk and then drive around the edge of the Dam and find the perfect spot - no problem staying hooked up to the caravan. There were between 50 and 100 vans parked around the area the night we stayed with plenty of room between campers. 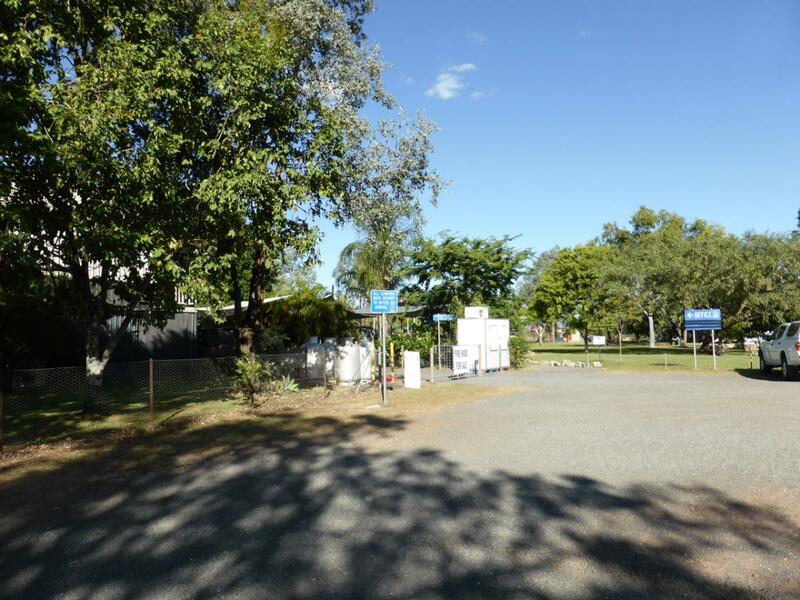 Theresa Creek Dam covers an area of approximately 300 hectare and has picnic facilities, coin operated barbecues, shaded tables and toilets. It is a popular spot with the locals for water skiing, sail boarding and fishing. The dam has been stocked with Golden Perch, Jewfish, Saratoga, Silver Perch, barramundi - red claw are also caught in the area. I would definitely like to go back and spend some more time in this beautiful location. have you been to Theresa Creek Dam Campground? Explore Theresa Creek Dam Campground with RvTrips and find out where to stay, what to do and what to see. Helping caravan, motorhome and camper owners have a great holiday.